Thermofilm is an Australian owned manufacturer, designer and supplier of world class indoor & outdoor heating products, and patented infra-red barbeques. Thermofilm has been manufacturing innovative, stylish and energy efficient products for more than 30 years, and the range is currently supplied to residential, commercial and institutional markets, both in Australia and around the world. Products include the award winning Heatstrip outdoor heaters, Bliss electric and gas heaters, energy saving timer switches and CROSSRAY BBQ’s. Thermofilm products are available via a range of retailers and wholesale distributors throughout all of Australia. The award winning Heatstrip range of outdoor electric radiant heaters are assembled in Australia and exported to world markets, including Europe, USA, Canada, Asia and New Zealand. Thermofilm has been widely recognised for world class design and product innovation. In 2017, the Heatstrip Portable LPG heater model TGH34PL won a Good Design Australia Selection, while the CROSSRAY BBQ was recognised with a Good Design Award in 2018. In 2013, Heatstrip Classic was awarded the coveted Australian Business Award for Product Value and in 2014, Thermofilm was inducted into the “Manufacturing Hall of Fame” by the Victorian Government. Thermofilm was founded in 1988 by Robert Reynolds to produce heating products utilizing a thin film carbon-based heating element, hence the name Thermofilm. 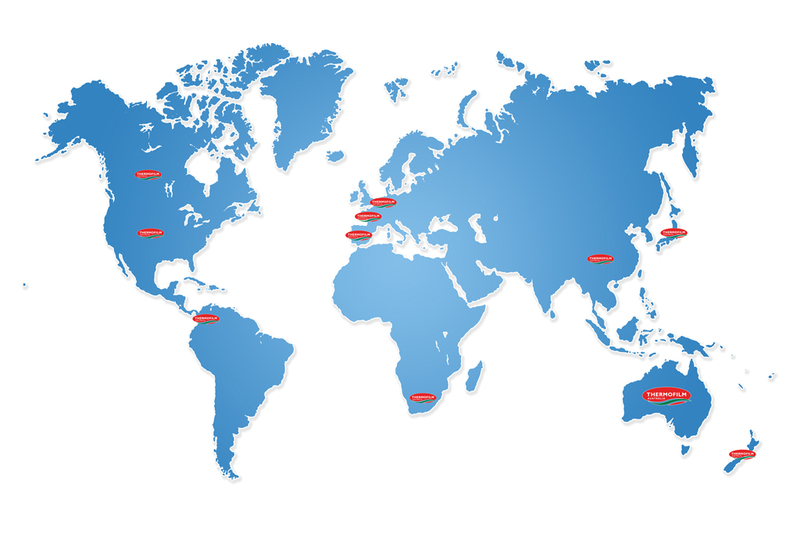 Thermofilm’ s Head Office, customer service, production and warehousing facilities are currently based in Melbourne, Australia, with distribution throughout the world, including Europe, USA & New Zealand. Innovation, quality and service are key drivers and all Thermofilm products are designed and developed by an engineering team with extensive experience in research, testing, validation and product approvals. Products are approved to numerous local and international standards, including AS/NZ, SAA, CE, ROHS, UL, CSA and PSE. Our Engineering team utilises full CAD capabilities, extensive prototyping, validation and testing, to ensure world class quality. The system of 5S is widely implemented to enable continuous improvement and maintain best practices. Also, all products are designed and supplied with an emphasis on environmental impact, whether it be maximizing recyclability of product components and packaging or implementing new designs and technologies to improve efficiency and reduce running costs. 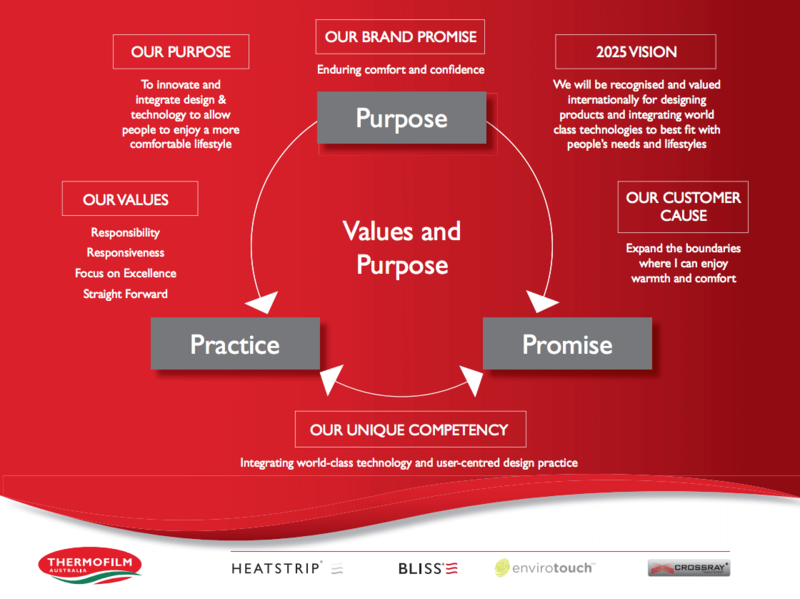 Thermofilm will continue to maintain its position as a market leader in heating and lifestyle products, by listening to its customers, and focusing on continuous improvement and innovative product development. Thermofilm is a major Australian manufacturer and supplier of heating products. Our heating range includes convective panel heaters, radiant panel heaters, radiant strip heaters, portable heaters, outdoor heaters, patio heaters, infra red heaters and under seat heaters for churches. All our heaters are electric and suit- able for a wide range of residential and commercial heating applications. Our heating product brands include, BLISSTM, HEATSTRIP® and ENVIROTOUCHTM. The latest addition to our product range is Oz ameTM Bio-Fuel Fireplaces for indoor and outdoor applications.